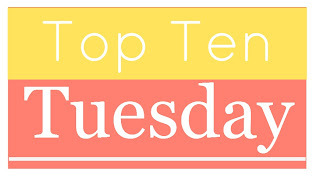 This week's Top Ten Tuesday topic from The Broke and the Bookish is Ten Finished Series that I Haven't Finished yet. My first thought was "All of them" but the more I got to thinking the more that that finished part trips me up. I'm books and books behind with pretty much every series I'm reading but pretty much all of them - especially on the mystery side are still ongoing. So instead I'm going to take a slightly different route and go with my top series that I'm really (really) behind in! 1. The Mary Russell series by Laurie R. King - I love this series! Sherlock and Mary are fantastic together and I love just watching them think. Plus it's nice to see the great Sherlock Holmes quite a bit older and milder (for Holmes at least). The mysteries are always fascinating and just incredibly clever. Most Recent Book Published: Dreaming Spies - Book 13 published in Februrary. 2. Library Lovers series by Jenn McKinlay - There's libraries, there's murder, there's a book club and just a smidge of romance. Not to mention the characters are interesting and McKinlay's pacing makes for a book I always fly throug. Most Recent Book Published: On Borrowed Time - Book 5 but 6 is about to be published. 3. Duncan Kincaid and Gemma James series by Deborah Crombie - This has been one of my favorite series for probably close to 20 years. I've read it from it's more police procedural early days to the darker but still with a touch of humor and humanity recent books. 4. Chesapeake Diaries by Mariah Stewart - I'm not exactly behind on this series but I've read the first few and the last few but am missing a big chunk in the middle. It hasn't been the most consistent series for me but when it's good I really enjoy the story. 5. Her Royal Spyness by Rhys Bowen - This a fun cozy series that centers around Lady Victoria Georgina Eugenie (or Georgie for short) who is 34th in line for the throne and regularly short of money. 6. An American Heiress by Laura Lee Guhrke - Laura Lee Guhrke is one of my favorite historical romance authors and this trilogy looks especially interesting. I love the American heiress aspect and all the story lines really appeal to me. 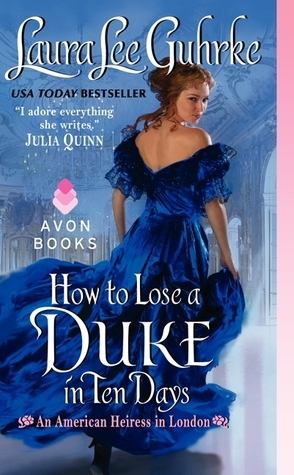 There are 3 - When the Marquis Met His Match, How to Lose a Duke in Ten Days, and Catch a Falling Heiress. I've read none of these but I'm familiar enough with the author I can include this one! 7. Love by Numbers Series by Sarah MacLean - I read and really loved the first one in the series and despite owning the 2nd have yet to read any more! 8. 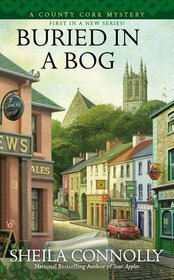 County Cork Mystery series Sheila Connolly - Sheila Connolly is a cozy mystery writer I really enjoy. I love her apple orchard series and her series that centers around museums reminds me of my days working for a museum. I was so excited when she started a series that takes place in a little town in County Cork Ireland. I read the first one and really liked it and haven't picked up another one. Most Recent Book Published: An Early Wake - Book 3 but Book 4 should be coming out next year. 9. Wesley Peterson series by Kate Ellis- I discovered a Kate Ellis book at the used book store I frequented when I was in college. I absolutely loved it but was never able to find another one and this was before the days of Amazon having everything plus I was on the broke side. Now I'm building up a collection but I've yet to read anymore. 10. Spindle Cove by Tessa Dare - Same old story. I read a Tessa Dare book and really enjoyed it but new and shinier books keep distracting me from reading more! This series actually does seem to be finished but she's started a new series that I really want to read as well. So what about you? How many series are you behind on and which ones do you really want to catch up on? Oh my word. The ones I'm behind on are just...daunting. But two I have GOT to get caught up on are JD Robb's In Death series and Patricia Brigg's Mercy series. Oys! I haven't even started the JD Robb series! I don't know why I haven't continued the Love By Numbers series. I really liked the first one. I really enjoy both series though they are two of my favorite authors so that's not a surprise! Haha! You love of mystery does mean you get these super long standing series. I guess that can be a good thing or a bad thing. You're not that far behind on some of them. Like two or three books to catch up is totally doable. Although I guess in the grand scheme of things, you got lots of books to go. Right 2 or 3 times about 100 adds up! The mysteries kill me with the whole series thing. They're all part of a series! I'm drowning in books! The next two books in the Mary Russell series are awesome! You should definitely make those a priority. Numbers 7 and 8 of Her Royal Spyness weren't as great to me(though I still really like them), but Malice at the Palace was fabulous! And Deborah Crombie just keeps getting better and better with each book in my opinion. But I completely understand getting behind on mystery series. I am so far behind Elizabeth George I don't know if I'll ever catch up. I know the Mary Russell series was getting better with each book so I'm not surprised the last two have been especially good. I forgot all about Elizabeth George! I can't even imagine how far behind I am in that series. I know! I'm the same way. I'm not sure there is a series I'm actually caught up on! I am horribly behind in my Agatha Raisin series. Have you ever read M.C. Beaton? She writes the Agatha series as well as Hamish MacBeth series. 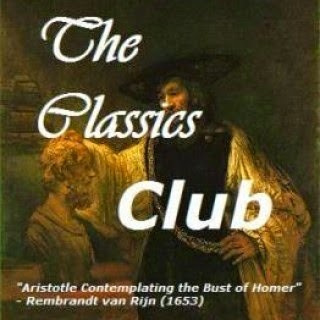 I have read MC Beaton! I really like the Agatha Raisin series though we are not even going to talk about how far behind I am in that series! I ran into a similar problem. 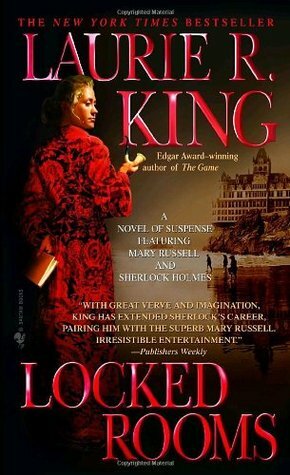 A LOT of my current favorite series are open-ended mystery series - Laurie R. King, Deborah Crombie, Tasha Alexander, Charles Finch, Carola Dunn... I'm behind on all of those except Laurie King. As for the romance series you mentioned, I'm behind on Sarah MacLean and Laura Lee Guhrke, too - and Tessa Dare as well. And in fantasy, I'm definitely behind on Katherine Kurtz's Deryni series and the Darkover continuation books by Deborah J Ross - not to mention Todd McCaffrey's Pern novels (which I may not continue with.) I'm even behind on Tamora Pierce's Emelan books - I haven't read Will of the Empress, Melting Stones, or Battle Magic yet. I know there's at least one challenge out there to finish series, but I'm not sure how it works with open-ended series like these. Mysteries kill me on the whole series issue because most of them just keep going. I haven't read much fantasy but I'd like to. It's definitely a genre that's been tempting me lately. I haven't heard of any of these series before—they're not really in the genres I read, but I hope you get to them soon! Thanks! I'm trying to get some reading done from my own shelves so hopefully I'll get caught up. Enjoy these-- I haven't read most of these except: the first two in Connolly's Irish series (I like them) and the first book in the Crombie series (same). I've seen most of those authors' names around, of course. I'm thinking of Laurie R. King soon. I really think you'd enjoy King. Her Mary Russell series is just so smart though they can be a little dry. I'm glad you enjoyed the Connolly series. She's one of my favorite authors. I've not read any of the series you've listed. But I hope you're able to finish them when you want to! Thanks! I'm going to keep plugging away and hopefully I'll make some progress! Reading your list made me realize that there are even more series that I'm behind than I first thought. Oy. Sheila Connolly's series is one I want to start, lol. For the past couple years, I've been doing the Finishing the Series challenge hosted by Socrates' Book Reviews and it's helped me to catch up on quite a few. Even so, there are still too many where I'm behind. I've thought about tackling that challenge but have always been to chicken to even attempt it! So many books! I also had a lot of ongoing series that were open so I changed mine up a little as well. I hope you are able to catch up the ones you listed!! I'm trying too. My goal is to get a little more reading done from my own shelves. Okay, I need to go check out that Library Lovers series. I can never resist a book with librarians!!! I haven't finished the Love By the Numbers series either. I've read books 1 and 2 but not 3. That's one of my favorite mystery series! I'd love to hear your take on it to see how accurate it is. I Googled these series to check them out on Goodreads. I did try the Spindle Cove one. The first book was pretty good but I have mixed feelings about Tess Dare's work. I really want to read Dare's new series as that intrigues me a little more than Spindle Cove. I'll keep in mind that you're not exactly sold on her. I haven't read enough to really know what I think so it will make me feel better if she's not a total win for me. Oh I know! My list grows every day! Lol! I'm pretty sure several books on my list are from you! I hope you find a few on this one you enjoy. I'm really looking forward to Dare's new series. It looks like a series I'll really enjoy. I don't really pick up too many long series. If I did, I might feel overwhelmed by how many books I've yet to read! It's the mysteries that kill me. There are so many series that I enjoy and there are just more and more books! I love how you compared the book you are on to the last book published. It makes quite a contrast! Yes and then if you add all the books I'm behind up together it gets a little overwhelming! That's what I keep saying! I really like Guhrke but it's been to long since I've read a book by her. I love the Connolly series! I just need to catch up. So many series!! I have a love/hate relationship with them... will need to post on this topic for sure. I can't wait to see your list! I know what you mean about the love/hate. I never can pass them up it there's so many! I read the second in the Laura Lee Guhrke series. Loved it! Need to get the other two. Oh yay! She's one of my favorites but it's been awhile since I read any of her books. It's really good! I think you'll enjoy them. I think I'm exactly where you are with the Mary Russell series! I didn't realize she was already at book 13! I have some catching up to do with Deborah Crombie's series too. And you just reminded me of Kate Ellis's Wesley Peterson series - I'd bought the first five or so from Costco a while back and just loved them. I didn't realize she's up to 19 now! I've definitely got a lot of catching up to do, all around! Ugh there are so many trilogies I need to finish and the sad thing is I've really enjoyed them all I just never get to the next one! I love love love Sarah MacLean's Love By Numbers Series. The third book, in fact, is one of my favorites from her! Thanks for stopping by my TTT a couple days ago! I have this dream of getting caught up on all the series! It'll happen really it will! Definitely finish the Spindle Cove one :) A Week to Be Wicked is fantastic! (But yes, also check out Castles Ever After!! So adorable, the whole series!). How's the Laura Lee Guhrke series? I've been thinking about checking that out. I almost went this route. You did remind me of one finished series I failed to mention--The Lucky Harbor series. It still wouldn't have made ten though. I have only read one book in the Crombie series, but I do want to eventually read the entire series. The King series is one I have wanted to try for a long time. I just need to break out the first book and give it a read.